If you're a fan of great cars and trucks then I'm sure Audi has to be somewhere on your list. 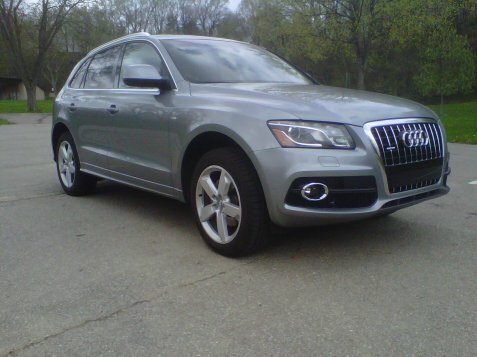 The 2011 Audi Q5 3.2 quattro Tiptronic is a very sharp and refined SUV. Yeah, It looks great but it also sports a Tiptronic 6 speed transmission and is a real eye catcher on the road. Until our review goes live enjoy the pics of our quartz gray metallic test model.